CS ols expertise extends into the field of Radio Frequency Identification / RFID labelling for laboratories. Although this technology has been around for many years, barcode based labelling is still the main technology used in laboratories. 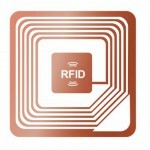 RFID has a number of significant advantages which could provide major time and efficiency savings. It could also enable major improvements in your regulatory requirements for sample chain of custody and location tracking / audit capabilities. Please click here for further information.